Drinks group Chapel Down has secured a lease on 338 acres of vineyard land as demand for English sparkling wine soars. The land – equivalent to the size of 256 football pitches – adjoins Chapel Down’s existing vineyards on the North Downs. The deal creates the largest vineyard in England with the potential to produce up to a million bottles of sparkling wine a year. The land at Boarley and Abbey Farm and Boxley will be vined between 2019 and 2021, growing the total area from which Chapel Down sources its grapes to more than 950 acres. 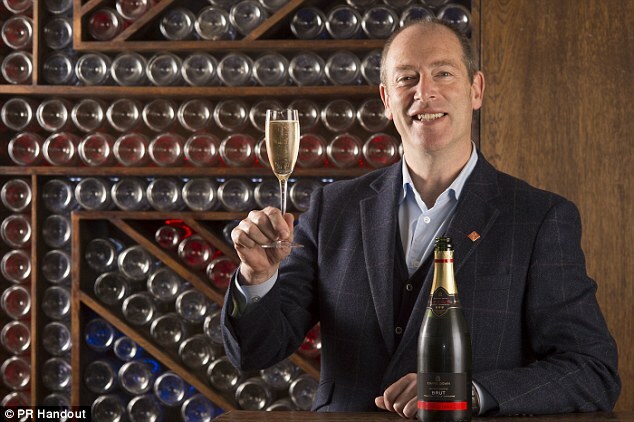 Chief executive Frazer Thompson said: ‘This is more exciting news for Chapel Down … I believe this area of the North Downs offers the finest terroir in England for sparkling varieties and successive excellent crops and critical acclaim for wines from our Kit’s Coty vineyard prove it.